The Hopewell Valley Community of Associated Music Projects (HV CAMP) was founded in 2016 by co-founders Jack Furlong and Sean Ryan. Their goal was to create a musical ensemble that allowed members of the local community to be part of a performing ensemble and create music together. HV CAMP is the parent organization that oversees all the ensembles created under their umbrella. The first ensemble created was the Hopewell Valley Pops Orchestra, open to competent musicians age 13 and older with no audition requirement. To provide music making opportunities for the residents of the greater Hopewell Valley community. To preserve and celebrate the musical arts in a manner that gives back to the greater Hopewell Valley community. Members of each ensemble pay a nominal membership fee to help support the operating costs of the groups. Members are not limited to the number of ensembles in which they choose to participate (except in instances of audition requirements or alumni status, for example). Each calendar year is divided into three seasons: Spring, Summer, and Fall. Spring seasons generally hold rehearsals in February through April with concerts in May. Summer seasons generally hold rehearsals in June and July (sometimes a little earlier or later) with concerts in August. Fall seasons generally hold rehearsals in September through November with concerts in December. Additional concerts may be scheduled throughout the calendar year from time to time. Each ensemble rehearses on average once per week. 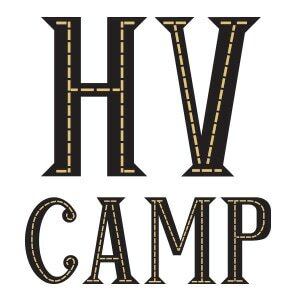 HV CAMP is a 501(c)3 incorporated non-profit group. Donations may be tax-deductible; please consult your tax professional for more information.